Kick off the weekend of fun with our second annual Leprechaun Pub Crawl on Friday night. Wear your green and complete the passport by visiting all twenty participating businesses for tastings and nibbles to be entered to win $1000 in great prizes. You must be 21+ to participate. All proceeds go to Friends of the Harbor Department. Catch the Irish spirit while getting a taste of the town. Get your tickets here. After fueling up, now’s the time to get some fresh air and explore the green hills of Morro Bay. Wonder through the nearby Elfin Forest – with an accessible boardwalk loop, it’s a great choice for a leisurely walk. If you’re feeling up to more of a challenge, Montana De Oro State Park has many trails to choose from. Including hikes to the top of multiple peaks over 1,000 feet. 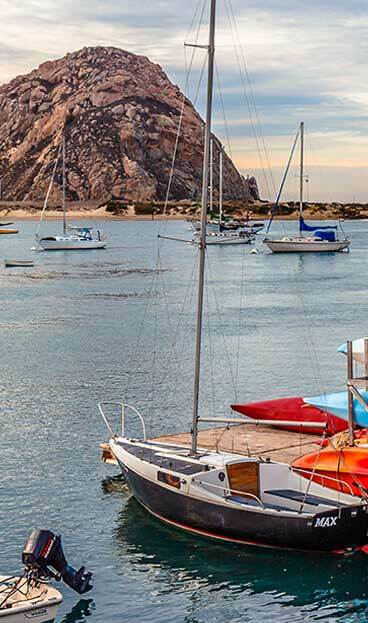 After a day outside, it’s time to head to Morro Bay’s downtown and the waterfront for shopping, live music and fresh seafood that will leave your taste buds feeling lucky. The Libertine Brew Pub, STAX Wine Bar & Bistro and Morro Bay Wine Seller all have live music to round out an entertaining night. For more information about how to plan your Irish escape in Morro Bay contact the Visitor Center at 805-225-1633.